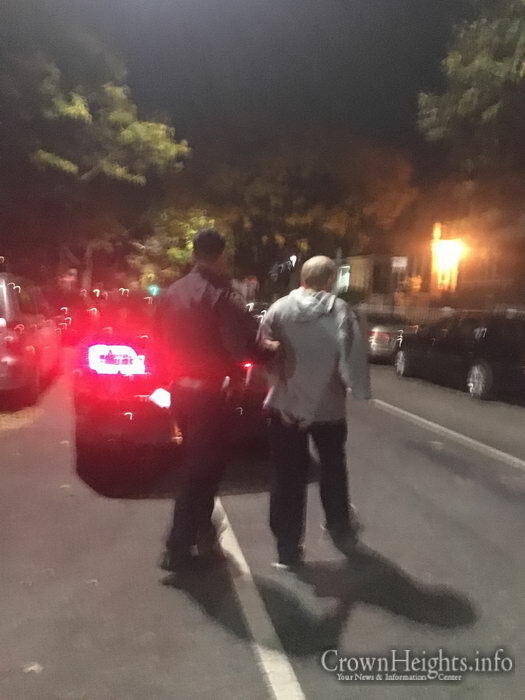 A man who broke into dozens of cars and stole up to thousands of dollars’ worth of items over the course of the past month was apprehended and taken into custody early this morning, thanks to the dedicated hard work of Shomrim volunteers and NYPD officers from the 71st Precinct. 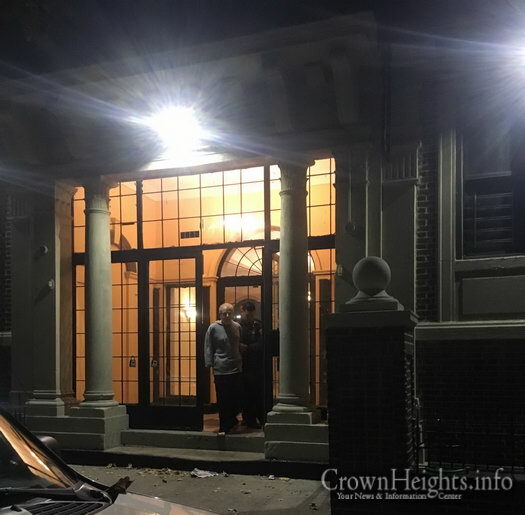 Over the past month, Shomrim has fielded dozens of calls from Crown Heights residents that their vehicles had been entered in middle of the night and valuables had been stolen from inside. Many of these vehicles were parked on private property, in driveways, garages and alleyways. Over time, Shomrim, working in tandem with the NCOs (Neighborhood Coordination Officers) of the 71st Precinct, were able to amass a significant amount of surveillance footage of the burglar in action, checking for unlocked cars, entering them, and rummaging through them for items to steal. The officers and volunteers canvassed the neighborhood searching for the suspect, and a couple of the officers even took upon themselves an extra night shift to try and catch him in the act. 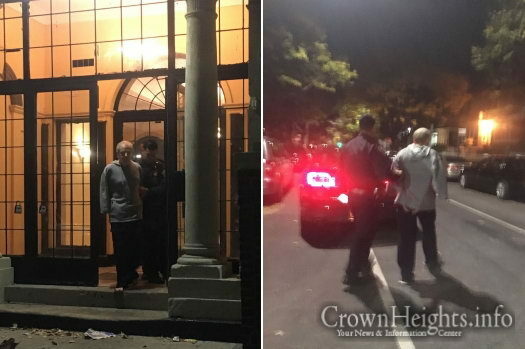 About two weeks ago, after many days of searching with no results, a Shomrim volunteer spotted the suspect entering a building on the corner of Carroll Street and Schenectady Ave. He called for police and Shomrim backup and waited outside the building. When the man still hadn’t emerged an hour later, they realized this must be where he lives. They then took a photo of the suspect to the building’s management, who confirmed that the man was a tenant in the building, and gave them his full name. 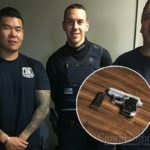 With the suspect’s identity in hand, the NYPD officers compiled all the evidence they could on the suspect, and early this morning he was arrested and taken into custody. 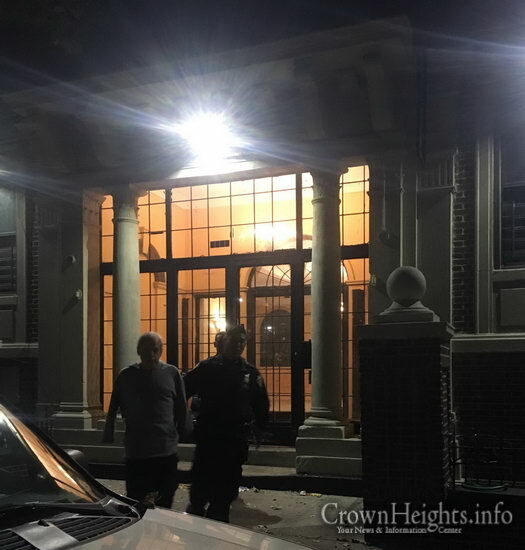 A source in the police department told CrownHeights.info that the suspect will be charged with unauthorized use of a vehicle, grand larceny, petit larceny and criminal possession of stolen property. 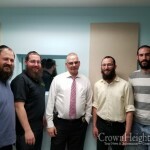 Shomrim coordinator Mendy Hershkop said that they would like to thank the NCOs of the 71st Precinct, including their supervisor Sgt. Al Kelly, and specifically officers Daniel Oh and Tristin Trunk, for their hard work to apprehend this serial criminal. He also said that community members should be sure that their cars are locked at all times, pointing out that the perpetrator never broke any windows but merely checked several car doors until finding ones that were unlocked. Well, if this is a case there is a another person going around breaking windows and stealing things from the cars. My car window was broken into on Albany between crown and Carol just last week and other people including the cops who took the report mentioned to me that other car windows as well. A very big Yashar Koach (thank you) to the NYPD and specifically those officers, Shomrim, Mendy H. Who apprehended this criminal – Please can you continue so we find the guy was busting the windows . Maybe he has my wallet with all my credit cards and my drivers license, how do I recover this? Crown and Schenectady. Our van was broken into this morning. The window was viciously yanked and broken and car ransacked. I would advise to keep car unlocked and no valuables inside!! Why is he not handcuffed ? Seems like lenient police action on a criminal who’s been terorising the community for an extended time.